Have you seen our Modern Holiday editorial photo shoot with Events by Lia? You can see the full set here: https://partydollmanila.com/a-modern-holiday-editorial-photoshoot/. Now, we are quite excited to share with you some behind-the-scenes fun and our short interview with Lia Del Castillo! 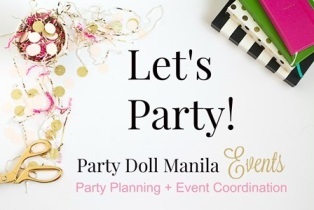 •	Their design process and personal take on kiddie parties! Special thanks to Ford Cabrera Childhood Films for this awesome video. We love it!